Hat Trick Communications develops presentations for high-stakes audiences and events. They offer expert guidance on messaging, design and delivery. The team at Hat Trick has experience developing 100s of presentations for companies across a wide range of industries. Whether you are fundraising, selling a product or presenting at a conference, they can help you create a compelling, memorable and effective presentation. 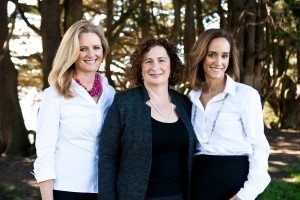 The three principals, Elena Madsen, Nicky King and Maria Franz are seasoned professionals. They have backgrounds in management consulting, investment banking, venture capital, technology, and healthcare with firms including, Goldman Sachs, Bain & Company, Yelp, and Shasta Ventures. They bring high level strategic thinking and effective storytelling capabilities to their clients that help your presentation generate the desired impact and results. Brand Zoo has formed a partnership with Chasm Institute, a Silicon Valley-based market strategy consulting firm. Chasm Institute, led by Managing Directors Michael Eckhardt & Mark Cavender and Chairman Geoffrey Moore, leverages the principles from their best-selling books, including the newly updated “Crossing the Chasm 3.0”, to help companies win in tough, highly-competitive markets. While over 2,000,000 of their books have been purchased by executives and tech-based companies, the real focus of their work is to help client companies accelerate Time-to-Revenue and drive profitable growth. Outsell is the leading research and advisory firm serving executives operating in the data, information and analytics economy. Our solutions leverage proprietary data, leading industry analysts, a partner network, thriving peer-to-peer communities, and world-class events. Through deep relationships, we ensure our clients make great decisions about their strategy, competition, markets, operating best practices, and M&A. We stand by our work 100%, guarantee results, and are fanatical about our clients’ success.